The venerable marque Dunlop has been a pioneer of tyre design for well over a century. It all began with the famous John Boyd Dunlop, a Scottish veterinary surgeon with a passion for technology and innovation. In 1887, he invented the world’s first practical inflatable tyre while working on his son’s tricycle. In 1889, bicycles using Dunlop’s new pneumatic tyres were winning races in England and Ireland. In 1900 came the first Dunlop car tyres, and 1910 saw Dunlop aeroplane tyres take to the sky. 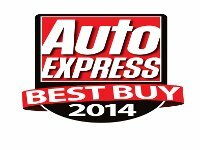 Since then, Dunlop tyres has become one of the most respected brands in the industry. From car tyres and motorcycle racing tyres to more mundane road and off-road tyres for nearly any vehicle make or model, Dunlop makes it all – and Tirendo offers you the best Dunlop tyre deals on the market. Dunlop is currently the official tyre supplier for the touring car championships of Britain and Germany. Other significant racing commitments include the Moto GP Championship, the Japanese Super GT Series, and the American Le Mans Series. This advanced technology is also apparent in the manufacturer’s road-going models. If products for year-round use are what you need, have a look at these Dunlop tyres. 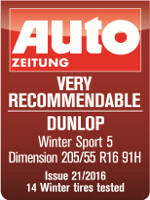 The Dunlop SP Sport 01 A/S and SP 4 All Seasons are all-weather tyres with impressive winter-driving qualities. If you prefer more specialised cold-weather rubber, the Dunlop SP Winter Sport and Dunlop SP Winter Response lines have a variety of models that make winter driving easy. For temperatures of more than 7°C, Dunlop summer tyres are very impressive indeed. Have a look at our excellent tyre offers for the Dunlop Sport BluResponse, Dunlop SP StreetResponse, or Dunlop Sport Maxx models. 4x4 tyres like the Dunlop Grandtrek series and van tyres such as the Dunlop EconoDrive and Dunlop SP LT product lines complete the line-up. We can make it easier for you to enjoy premium quality. Visit us regularly and look for our many special tyre offers. Nothing could be simpler, just order your Dunlop tyres online from Tirendo at the most advantageous prices!